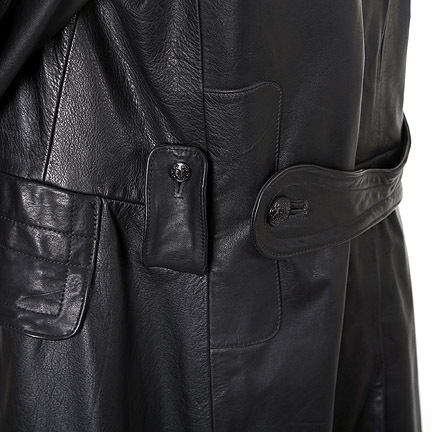 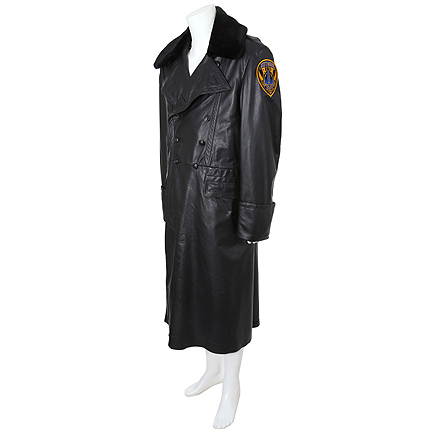 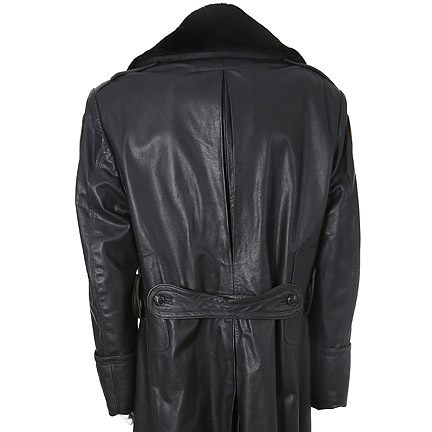 This coat was worn by one of the Gotham City Police Officer background characters in the 1995 motion picture, "Batman Forever." 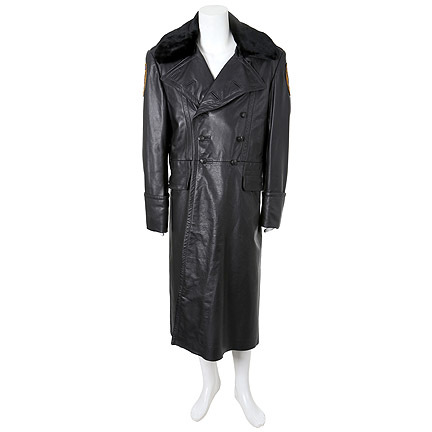 The police frock was custom made for the film and is constructed out of black leather with a faux fur collar. 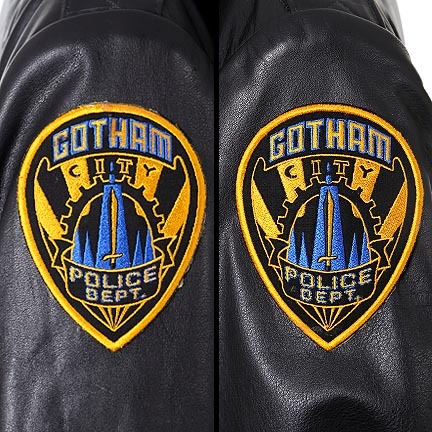 The original patches with the "Gotham City Police Dept." 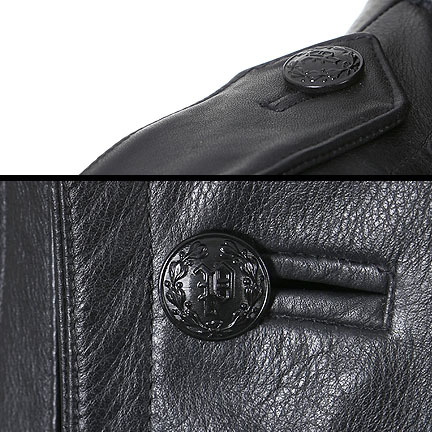 logo were also custom made for the production and are adhered by an adhesive glue to each shoulder. 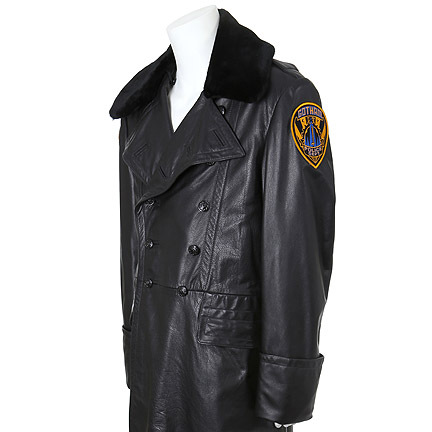 This jacket was worn by multiple background police officers during the early scenes of the film when Two-Face is robbing a bank. 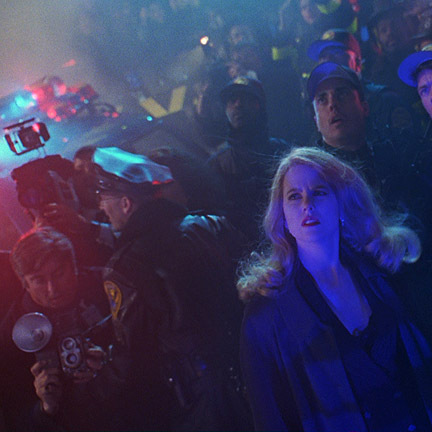 The officers can be scene wearing the frock coats on the street below and Dr. Chase Meridian (Nicole Kidman) is looking up as the situation unfolds and Batman soon arrives to attempt a rescue. 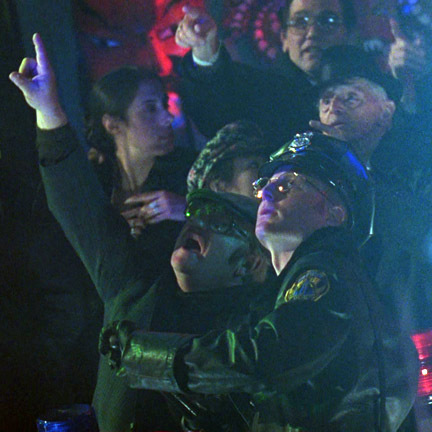 "Batman Forever," starring Val Kilmer, Tommy Lee Jones, Jim Carrey, and Nicole Kidman, was nominated for three Academy Awards in 1996. 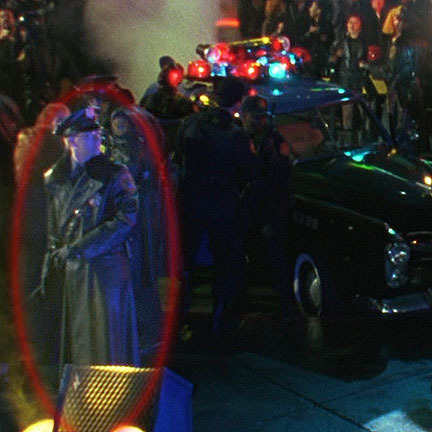 The film was a sequel to Batman Returns (1992), with Val Kilmer replacing Michael Keaton as Batman. 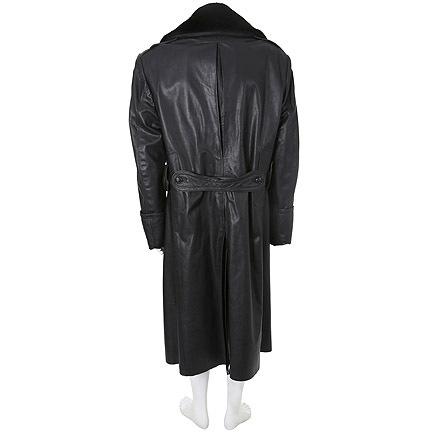 The plot focuses on Batman trying to stop Two-Face (Tommy Lee Jones) and the Riddler (Jim Carrey) in their villainous scheme to drain information from all the brains in Gotham City. 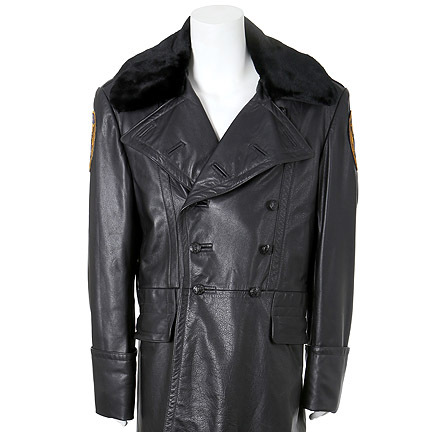 The coat and patches are in good screen used condition and are accompanied by a letter of authenticity.